When two individuals are in a relationship, aside for companionship, they also engage in an ongoing economic relationship. When couples separate, the individual earning a higher income may have an obligation to continue to financially support the individual with the lower income. It must be noted that the individual being supported typically has an obligation to become self-sufficient over time and is expected to take reasonable steps towards becoming self-sufficient. The Spousal Support Advisory Guidelines (“SSAG”) help determine the quantum of spousal support payable. However, the SSAG are merely guidelines and individuals are free to agree upon their own quantum of payable spousal support. Before quantum can be determined, entitlement must be established. 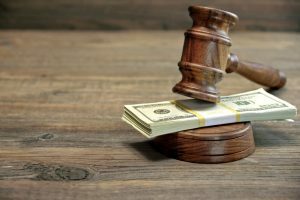 There are several factors that go into determining whether one is entitled to spousal support including, but not limited to, the length of the relationship, the incomes of the parties, the age of the parties, one’s ability to become self-sufficient, one’s ability to support the other party, etc. One of the most important factors in determining entitlement to spousal support is the roles the individuals played throughout the course of the relationship. For example, if throughout the relationship, Partner A stayed home and cared for the home and family while Partner B was able to participate in the workforce, advance their career, and increase their earning potential, Partner A has forgone their career and earning potential and would likely have an entitlement to spousal support upon dissolution of the relationship. If not for the time and effort of Partner A in the home freeing up Partner B’s time, Partner B would not have had the same opportunity to advance their career. For the duration of the relationship, Partner A sacrificed their economic opportunities in support or Partner B’s economic pursuits and as such it would be unjust to expect Partner A to be economically self-sufficient upon the dissolution of the relationship. Spousal support is not typically expected to continue in perpetuity. Section 15.2(6)(d) of the Divorce Act, states that one of the objectives of spousal support orders is to “in so far as practicable, promote the economic self-sufficiency of each spouse within a reasonable period of time.” However, what a “reasonable period of time” is, is determined by the facts of each case. Nevertheless, once the recipient becomes self-sufficient, spousal support may be terminated. Spousal support may also be terminated or varied if there is a material change in circumstances that was unforeseen when the agreement or court order for spousal support was made. Among other things, a material change can include, the loss of a job, a new marriage, new financial responsibilities, etc. However, to be considered a material change, the change must have some element of continuity to it. For example, the purchase of a new car likely would not constitute a material change whereas the birth of a new child from a new relationship may. Furthermore, the change must have been unforeseen at the time the agreement or court order for spousal support was made. This is because if the change in circumstances were contemplated at the time of the agreement or court order, a different agreement or order would have been warranted.